Monero - Good Cryptocurrency Gone Bad? Monero – Good Cryptocurrency Gone Bad? Monero! Although the open-source cryptocurrency has been around since 2014 but has been under quite a lot of flak off late. Also abbreviated as [XMR], Monero is a fork of Bytecoin Monero (XMR) and has been equally loved and hated for being an anonymous cryptocurrency. It is based on the CryptoNote protocol and like its popular counterpart, Bitcoin, Monero lays more emphasis on privacy and anonymity. Monero follows the concept of ‘ring signatures’, which make transaction mixing possible. That is, everytime a sender funds a transaction, he can pick other users’ funds (randomly) to reflect in the transaction as possible sources of the fund being sent. The ring in Monero is cryptographical, therefore, no one would be able to identify the actual funds that were the source of transaction, which would include the individual who gave the funds to the sender. They do have a system in place to ensure that no transaction is conducted twice by the sender. This is done using ‘key images’ that are distributed to each ring signature. In simple words, Monero shuffles all public keys, making it impossible to pinpoint a particular user. Is it as Notorious as it Seems? Monero, for now is the brat we love and hate at the same time. 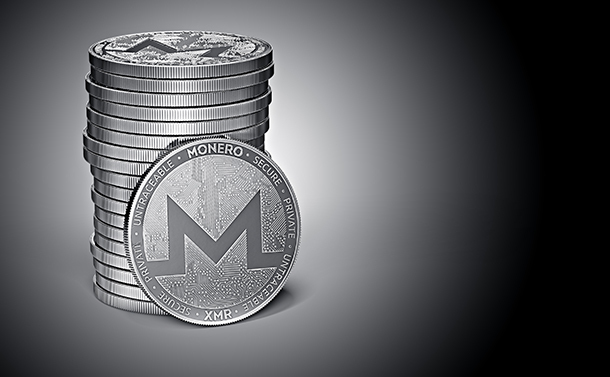 While many in the last one year predicted that Monero is the next big cryptocurrency in the market, somehow in the last few days it has been mired by some serious concerns. In a setback to its reputation, it was found that cryptojackers were using a malware to mine Monero with the assistance of computers and smartphones across the globe. Cybersecurity specialists reported that a whopping 4000 websites were misused to mine Monero. These included some important websites belonging to US court system and Government of Australia and UK. See Also: Chrome: Secret Crypto Jacker! Adding a further dent on Monero’s reputation, 360 Netlab researchers reported that out of 300,000 websites tracked by Alexa Internet, 630 have mining codes embedded in them. Apart from the fact that your device could be used for mining without your knowledge, it could also damage it because this process could cause your device to overheat and unusually poor battery performance. Of course, it still has legitimate users who equally love Monero because of it being a practical to mine cryptocurrency. In fact, another reason for its widespread fondness is that unlike Bitcoin and similar cryptocurrencies, it does not need any special hardware for mining. The good part about Monero if one is a legitimate user is that because of its transaction information staying secure, there is no fear of loss of funds because of miscreants. Should We Really Be Worried? Since no technology is perfect, it is certain that cryptocurrencies too will have their fair share of woes with time. Of course irrespective whether you are into cryptocurrency or not, there is a genuine cause of concern for many, that is, if their device is being used for mining or not? As such, there is nothing wrong in the concept on which Monero is based. In fact, the cryptocurrency respects privacy and security of those who invest in it. Yes! Unfortunately a loophole has been found by cryptojackers.What seems to have attracted the cryptojackers is it’s fungibility of the currency. The least we can do to protect our devices by using security tools on all our gadgets including smartphones. Monero surely seems to have made other competitors in the market a bit insecure, which could be the reason it is being targeted by others. It cannot be denied with features like being impossible to trace and link it is one of the most secure cryptocurrency and the new muse for cryptojackers. Will Technology Transform Us Into Cyborgs?